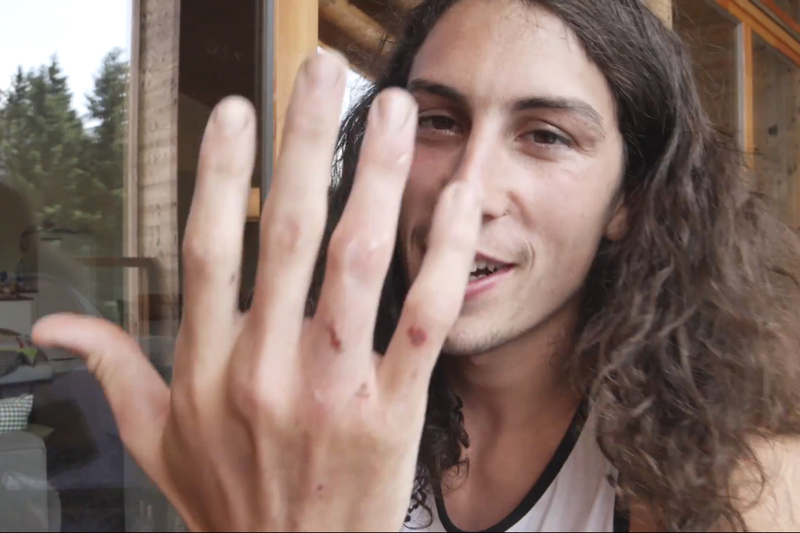 Prepare to cringe as you get an up-close and personal look at the pain that World Cup downhill riders sometimes have to endure to stay at the top of their sport. Josh Bryceland dislocated his finger just hours before his race run in Lenzerhedie, Switzerland, at the fourth round of the downhill mountain bike World Cup on Sunday. He was so determined to race, he called a hand surgeon who was able to advise him on how to pop the joint back in. You can see it in all its gory detail above. The incident is part of episode four of The Syndicate, a web series that follows the Santa Cruz Syndicate race team throughout the World Cup season. In this episode you can also see how Greg Minnaar made history by winning his eighteenth World Cup, making him the most successful male athlete in the sport ever. You can also get to know Minnaar’s biggest fan, Monsieur Ivan, and have an in-depth analysis of how the Lenzerheide course came tougher with its creator, Steve Peat. Bryceland finished tenth after a cautious race run and Peat is still recovering from an ACL injury that has kept him out all season. Expect the next episode of The Syndicate to be released after round 5 of the World Cup at Mont-Sainte-Anne on 1-2 August.